Sell Runescape 3 Gold, Sell RS3 Gold! Are You Looking For A Place To Sell Your Extra Runescape 3 Gold, RS3 Gold, Runescape Gold, You Have Come To The Right Place We Offer The Best Competitive Price Easy And Quick Transactions Payment Less Than 1 to 3 Minutes, So You Don't Have To Worry About The Hassle Once You Are Ready To Sell Just Click The Live Chat Button, We Will Further Assist You. We Have Been Swapping And Buying And Selling Runescape 3 Gold, For Over 10 Years So You Know You Will Be Getting The Best Service And Quickest Payments! We Offer PayPal, Bitcoin, Skrill, More Payment Methods To Come, 24-7 Service If You Need To Sell In The Day Or Night We Got You Covered At KingRunescapeBuyer! Sell Your RS3 Gold, For PayPal Bitcoins Skrill Instant Payment After We Receive The Gold In Game Payment Will Be Sent 5 Minutes Or Less! We Have Been Buying And Selling RS3 Gold, For Over 10 Years We Value All Of Our Customers Business! Get Real Money For Your Runescape Gold If You Have Some Extra Gold You Want To Sell! We're A Trusted Runescape Gold Company If You Need To Buy Or Sell KingRunescapeBuyer Has Got You Covered Best Prices Guaranteed, Steps On Selling You Go To Sell Runescape 3 Gold Page Click The Live Chat Button, 1 Is 1M For Selling After You Have Clicked The Live Chat Button You Will Be Further Assisted By A Live Chat Agent, Select The Payment Method You Want To Be Paid With Live Chat Will Give You World Location On RS3 They Will Collect The Gold From You Once They Receive It Payment Will Be Sent Within 1 To 2 Minutes Or Less So You Can Get Back On To Grinding More Gold To Sell! 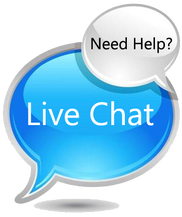 If You Have Any Further Questions Just Ask The Live Chat We Are Here To Help! Runescape The MMORPG Game Were You Can Skill And Get Your 99 Skills Combat Or Skilling Or The Grand Exchange With Your Runescape Friends Flipping On The Grand Exchange Or Maybe Your A Main And Like To PVM, Or A Pure Who Likes To Pk What Ever It May Be KingRunescapeBuyer Has All Your Gold Needs Covered So You Can Get Back To Runescape With Some Gold!